Since more than 22 years we are active in the tourism industry. We have been collecting experience for many years through our offered daily trips. Therefore, we are expanding our offer with dive trips and diving-safaris. For many tourists the motivation to visit Egypt are diving and snorkeling with dolphins in the open water. 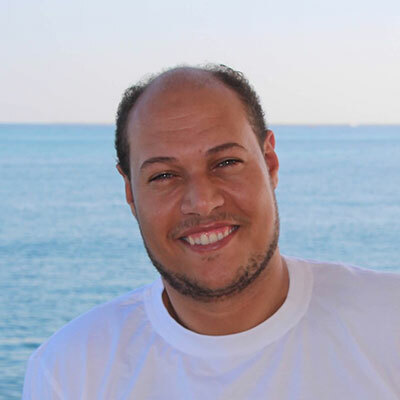 That´s also the reason why so many people come to Hurghada, El Gouna and Makadi Bay annually. 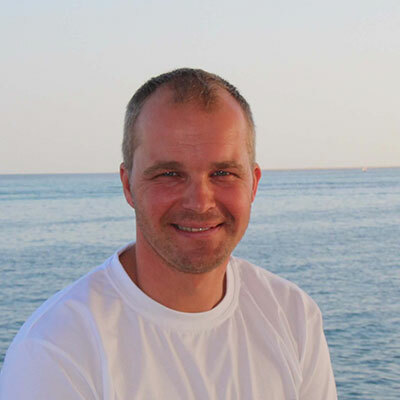 We are a German – Egyptian family business based in Hurghada and we make a point of taking care of our guests personally. We welcome you in a family atmosphere on board. 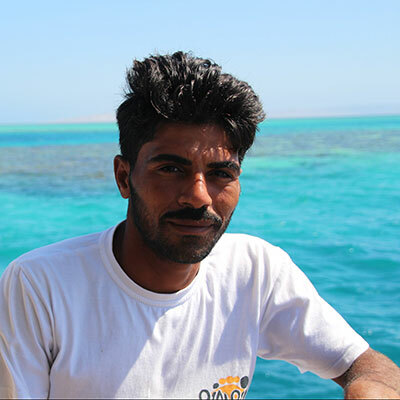 The captain is not only familiar with the Red Sea – it is also his second home. He is looking forward to seeing you! 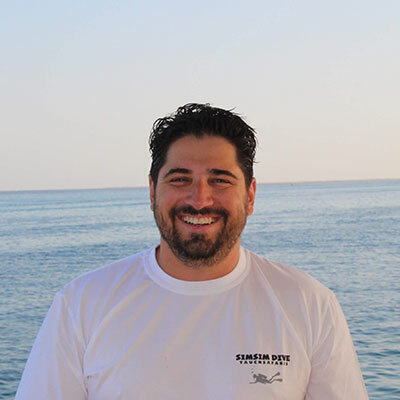 Due to the fact that he is a son of a fishing family, he has known and loved the Red Sea since childhood. We would be happy to spoil you with culinary delights. Every day our chef prepares your buffet with fresh ingredients and with much love. 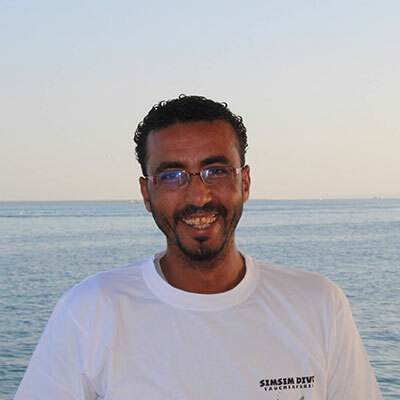 The crew of SimSim Dive takes you to the most beautiful and interesting places in the Red Sea. We are always anxious to fulfill your wishes. We are happy to provide you with individual travel and to offer you the excursions to your desired appointment. We can offer you short-term tours at any time. We have many full charter offers in the program, with a very good price performance ratio. Our minimum number of people for a dive safari is 8, so the dive safari can take place. Simply contact us by email, we will gladly answer back. The SimSim Dive is not only used for safari tours. Sometimes it is also available for daily diving trips – if no safaris take place at that time. It offers plenty of space to relax. Has a very pleasant atmosphere. Our cabins are very friendly furnished. Also for day trips she is sometimes in use. Day trips with night dives. Island trips in combination with diving. See you soon on board.